Most people don’t realize how complex and difficult finding the right house really is. At any given time, there are numerous homes on the market to choose from and the options change daily. You also have to have a pretty good idea of what you’re looking for in a home to be able to search effectively. So there’s a lot to keep in mind when seeking out the perfect house for your family. The most important thing you can do when searching for your dream home is to have as clear an idea as possible of what you want. Sit down with the relevant decision-makers and come up with a list of specific things you both need and would like to have in your new home. For example, do you want to live in a specific neighborhood? How much square footage is acceptable (not just “a big house”)? Be as specific as possible when coming up with your list, and clearly differentiate between the “needs-to-have” and “nice-to-have” features. Realtors can make your life so much easier when searching for a home, because they do a lot of the searching for you. All you have to do is provide them with a list of what you’re looking for, and they can not only match you up with homes currently on the market, but can alert you to new, “coming soon” homes. In many cases, real estate agents get to look at a house first when it’s coming up for sale, and contact their clients first about new houses so you can get a bid in fast. Buying a home is a major commitment, and when looking for one, you should be thinking several years down the road. While unexpected things do happen, moving into any new house takes a lot of time, effort, and money and isn’t the kind of decision you should make lightly. If you’re not expecting to live in your new home for a few years at least, you should probably consider renting. Generally, you will have to make some compromises when purchasing a home. For example, you might love everything about a house but it might not have enough rooms. The trick is to know which features you are willing to sacrifice for other features. Think about other aspects of the home’s location too; for instance, is it in a good neighborhood, but far away from your place of work? Is the commute worth the neighborhood? Keep questions like this in mind. Anything relating to a flaw in structural integrity or health and safety is a major red flag. Overall cleanliness? Not as much. Doing your own research, talking to your realtor and having a clear idea of what you are or are not willing and able to take on as far as renovations go is a must. Finding and successfully bidding for your dream home may not be easy, but there are things you can determine and steps you can take to make the process a little easier. Happy hunting! So there’s a lot to keep in mind when seeking out the perfect house for your family. At any given time, there are numerous homes on the market to choose from and the options change daily. 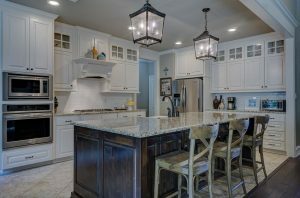 This entry was posted in Real Estate Investing and tagged Buying a Home, Finding the Right House, Home Search, Perfect House, Purchasing a Home, Searching for a Home, Searching for Home. Bookmark the permalink.